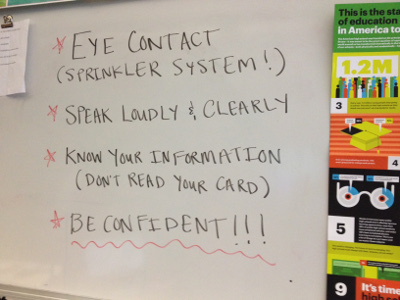 Home > Newsroom > Blog > The Sprinkler System Is On! The Sprinkler System Is On! Last week, I re-entered (see related blog) another dimension - sixth grade! I spent my morning with Katherine Van Treese’s Social Studies classes at Redwood Middle School. 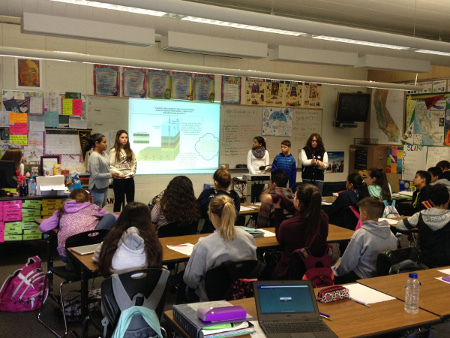 Each student presented a component of their group’s water-focused infographic project (created with Piktochart) and conducted an interactive audience engagement exercise (using Kahoot). Each student described a component of the team’s project - the topics include issues such as water pollution, erosion, sedimentation, desalination, floods, drought, and other water issues. With support from the organization NapaLearns, using a model of project-Based Learning, I helped kick off this project six weeks ago. 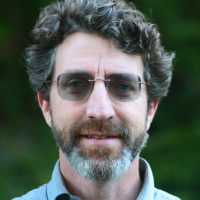 As a board member of the Napa County Watershed Information and Conservation Council, my hope was to facilitate a real world learning component and a point of contact for students interested in getting involved in environmental science and technology. One of the main principles of project-based learning (PBL) is that when community members collaborate with teachers and students in project work, that collaboration ignites authentic learning. There are a growing evidence (review paper) and examples of how PBL improves academic achievement and skill development related to professional practice. It can also foster student motivation and self-discipline. Kudos to programs like Point Blue’s Students and Teachers Restoring A Watershed (STRAW) and Napa County Resource Conservation District LandSmart for Kids that use PBL techniques in outdoor education. It was amazing and ever-inspiring to see them all demonstrate the bravery it takes get up in front of everyone, present findings, and address questions. Overall, the students were highly engaged in the project, excited about using devices and new tools for added classroom interactivity, and ever important - teachers and students created a supportive learning environment. A good source for more information about implementing project-based learning is the New Tech Network. The New Tech PBL model and methods (e.g., collaborate, innovate, and communicate ideas to solve complex problems) is shared by over 175 partner school in 29 states and Australia. Browse these fantastic infographics, designed and developed by Redwood Middle School Sixth Graders!! Previous: "Management" is the new "Conservation"